Congratulations to Barbara and Peggy for receiving the District Unit Exceptional Scouter Award for their multiple years of service as Committee Chair and Popcorn Chair respectively. They received these awards at the annual Pacifica District Dinner. 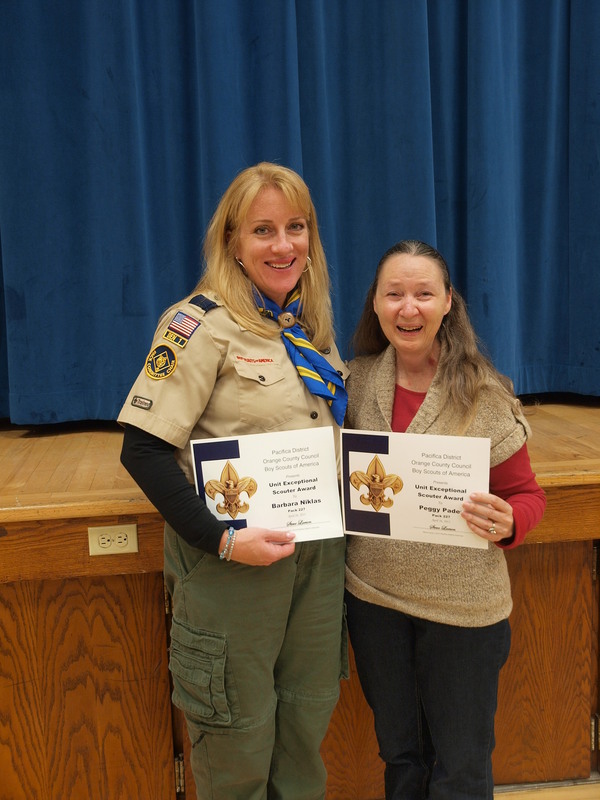 Barbara and Peggy receive the District Unit Exceptional Scouter Award. A special thanks for your many years of service!